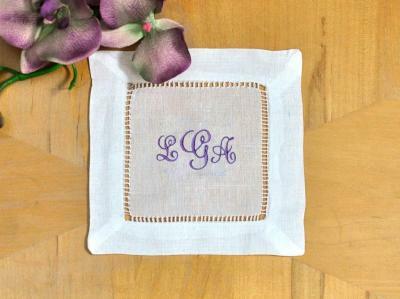 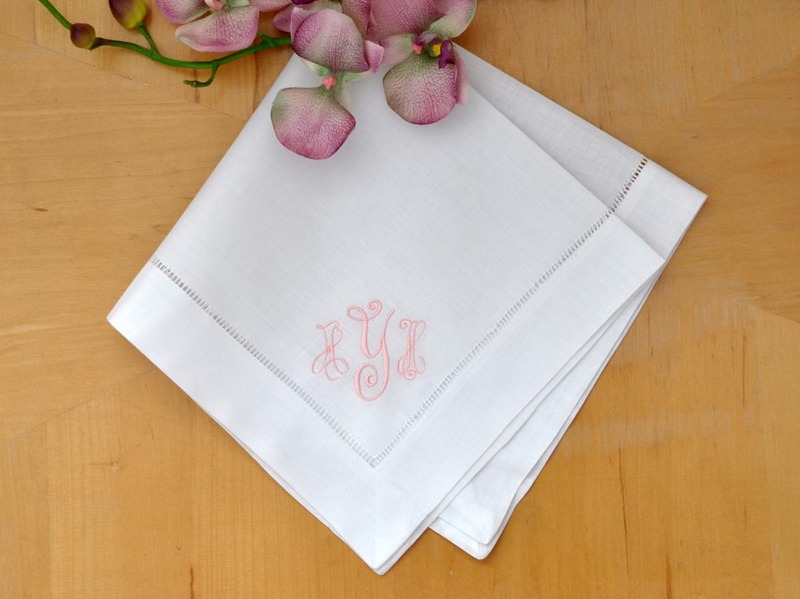 Personalize your hemstitched linen dinner napkins by adding a three letter Victor script monogram in the color of your choice! 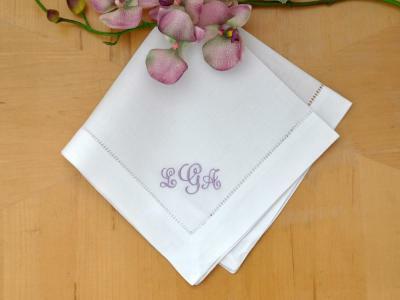 Set of 4 Monogrammed Linen Dinner Napkins w/ 3 Initials- Font B Customers have rated this product	5 out of 5 based on 1 rating(s). 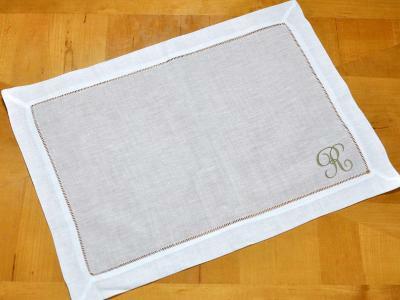 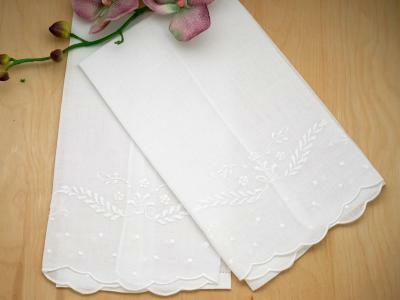 I love the 20" napkins I ordered! The ivory monogram looks lovely on the white linen. 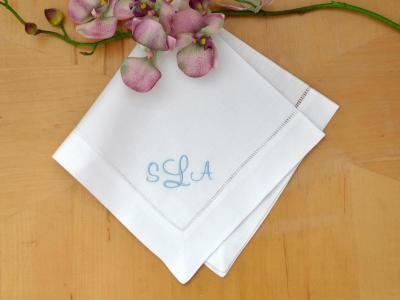 Thanks so much for the quick turn around time:)..